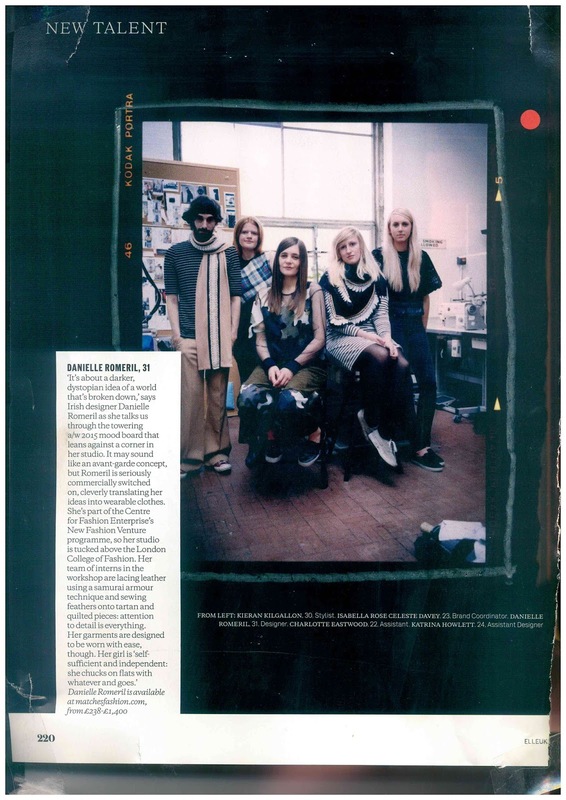 LSAD Fashion Graduate Danielle Romeril is featured in an article in Elle UK featuring new talent making waves in the London fashion scene. She is part of the Centre for Fashion Enterprise, a pioneering fashion incubator based London. Danielle showed her pieces from her Autumn Winter collection at the LSAD Graduate show in May and was a member of the judging panel. She has also taken part in our visiting lecturer programme.